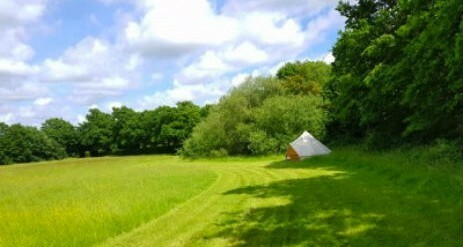 Wood View Farm Glamping Kent is in our beautiful five acre wild flower meadow, mainly in Bell Tents. Come and enjoy the countryside, wildlife and fresh air. Suits groups, families and or couples. 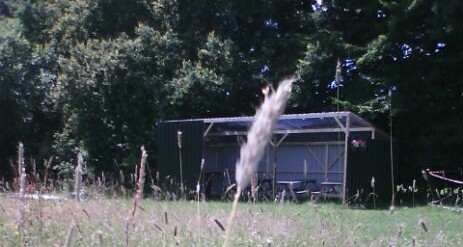 Book individual plots or the entire glamping site for sole use. 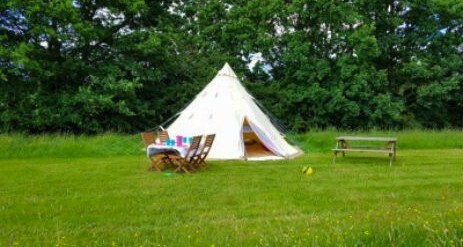 If you’re looking for somewhere to enjoy the great outdoors, daytime family fun, quiet nights, a relaxing hen or stag do in a chilled out space or a place to return to and relax after a day or night out, our glamping meadow would suit you well. 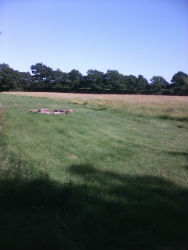 We are a very rural, hidden sunny meadow, in beautiful countryside, on a small county lane, yet within a mile there is easy access to all amenities, London and road and rail networks. Perfect place to come and relax for a break, we are ideally placed for country walks, cycle rides, golf, fishing, activities, days out and fresh air! Or just sitting and watching the local wildlife, so something for everyone! Minimum booking 2 nights, 3 night weekends or ask about our special weekend packages. We can accommodate up to 60 in our Glamping units each individually located in its own private space or we can place them together with shared space for families and groups. 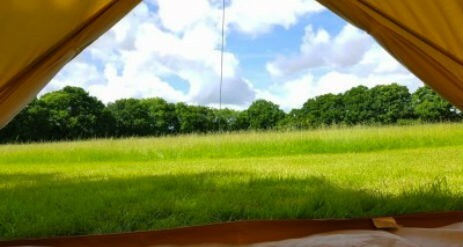 Choose from Bell tents or Norwegian Tipii, plus larger group accommodation, as available. 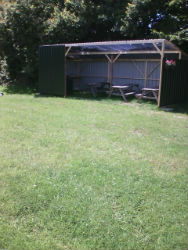 Some dates available with sole use of site, for groups, events or even weddings! 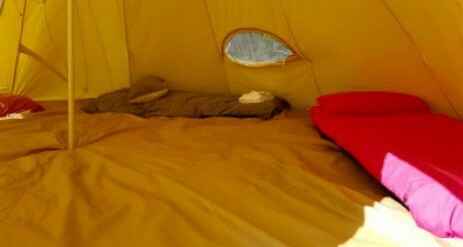 Otherwise each unit can be located in it s own area well apart from others as we limit numbers camping in our accommodation up to 60. 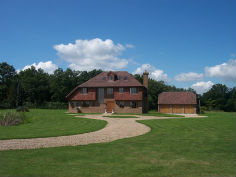 We also have a beautiful farmhouse that sleeps 14 or 24 including an annex. 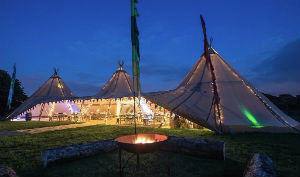 32 guests : Camping : £768.Tented Camping:£1536. 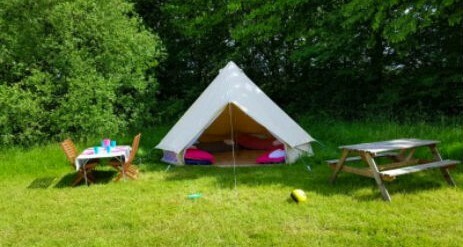 Glamping:£2152. Sole use available for example from: £1800 for the weekend up to 120 guests for your event.